For US orders, click here. 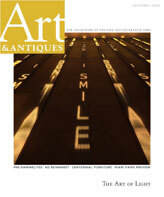 YES NO Art&Antiques may contact me via e-mail regarding special subscription offers, the Art&Antiques newsletter and special events. YES NO Art&Antiques may contact me regarding products and services from carefully selected companies.